With integrated wireless charging pad and one USB port, the LED table lamp charges your mobile devices when illuminating. Like the idea? Let’s continue checking. 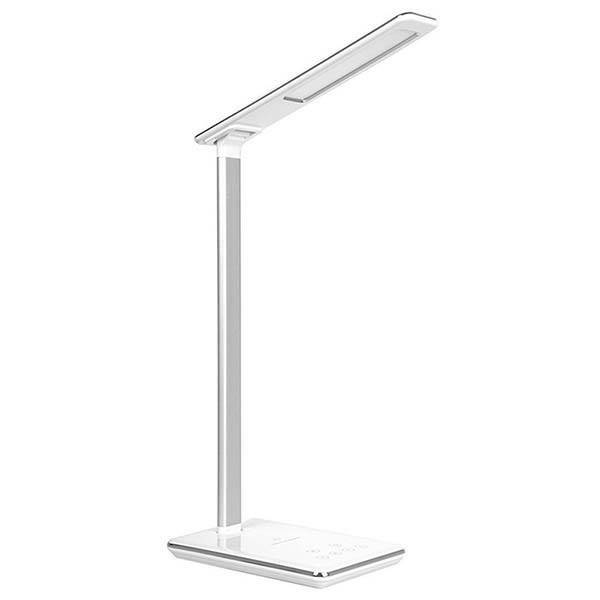 This is a versatile and LED desk lamp that measures 440 x 126 x 45mm and weighs 15.8 ounces. As we can see from the images, the lamp shows off an elegant and minimalistic appearance design, and its aluminum frame and arm not only provide a durable construction, but also deliver modern aesthetics to fit for different interior styles. The LED lamp is able to deliver comfortable, non-flickering, and anti-glare illumination. Four color lighting modes allow it to meet different requirements, and the adjustable aluminum arm lets you adjust the lamp with ease. Meanwhile, the life of the LED lamp beads reaches up to 50,000 hours, and its auto timer helps you turn it off for further saving energy. 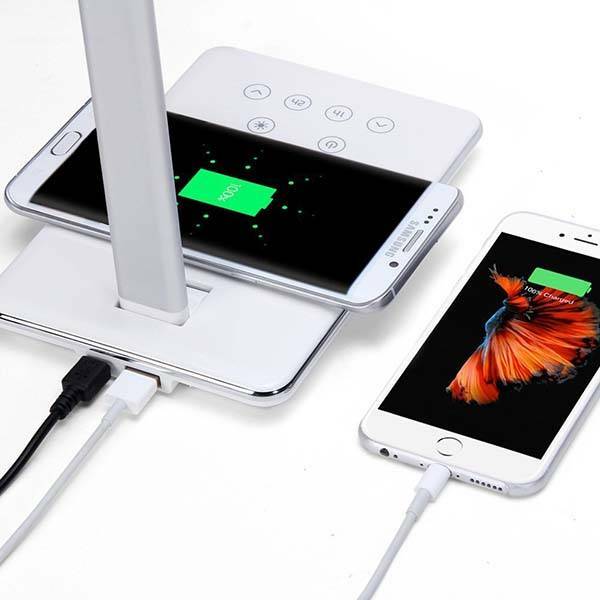 Furthermore, a wireless charging pad has been integrated into the base panel to wirelessly charge your Qi-enabled smartphone, and an extra USB port is arranged on the back of the base to charge another mobile device. In addition, the touch control panel lets you effortlessly control the lamp, and the non-slip mat at the bottom firmly keeps it on your desk. The LED table lamp is priced at $39.99 USD. If you’re interested, jump to here for its more details.